The Singles Tray by VE2 for Zone Denmark is a great decorative element and practical helper at the same time. Thanks to its handle, snacks, drinks and other small items can be easily transported with one hand. 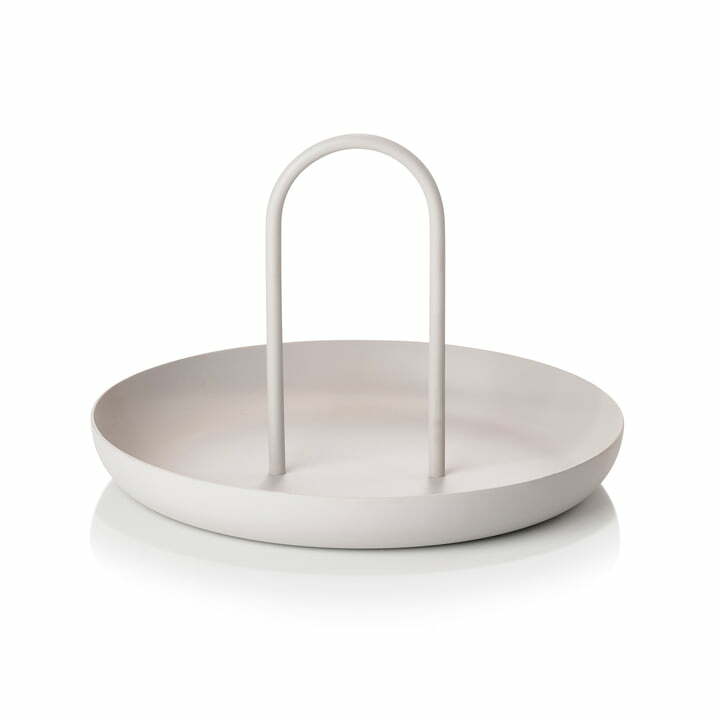 The tray can also be used as a stylish coaster for oils and spices or as an alternative fruit bowl on the dining table. In addition, jewellery and cosmetics can also be beautifully displayed on the tray and are therefore always ready to hand. 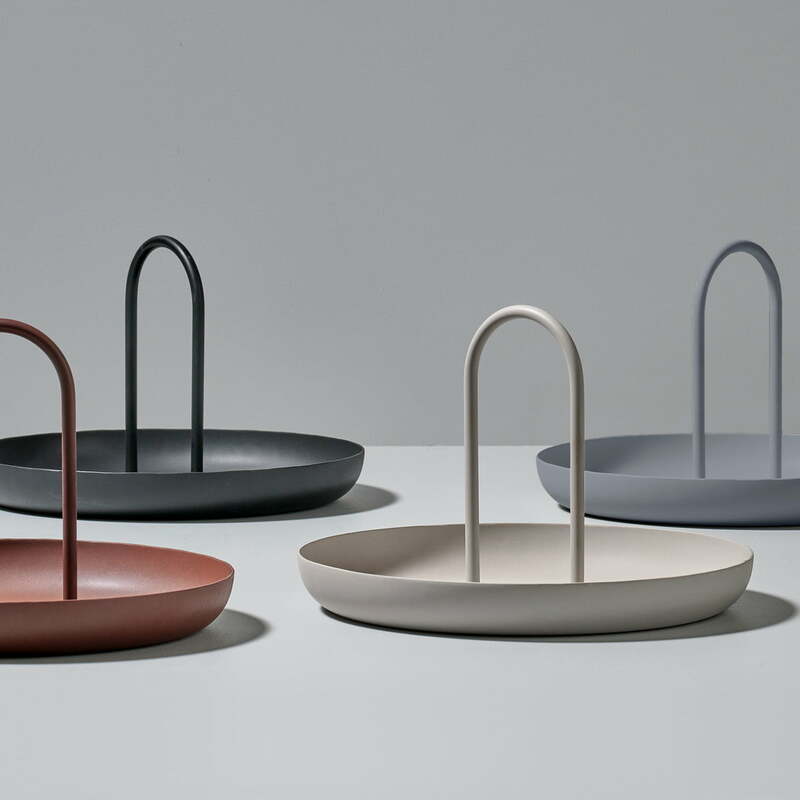 The round Singles Tray is made of matt lacquered metal in different colours. Due to its modern design it blends into any ambience and sets noble accents. Singles Tray, Ø 20 x 13 cm in warm grey from Zone Denmark in single view. The tray is ideal for decorative purposes and for transporting objects of all kinds. 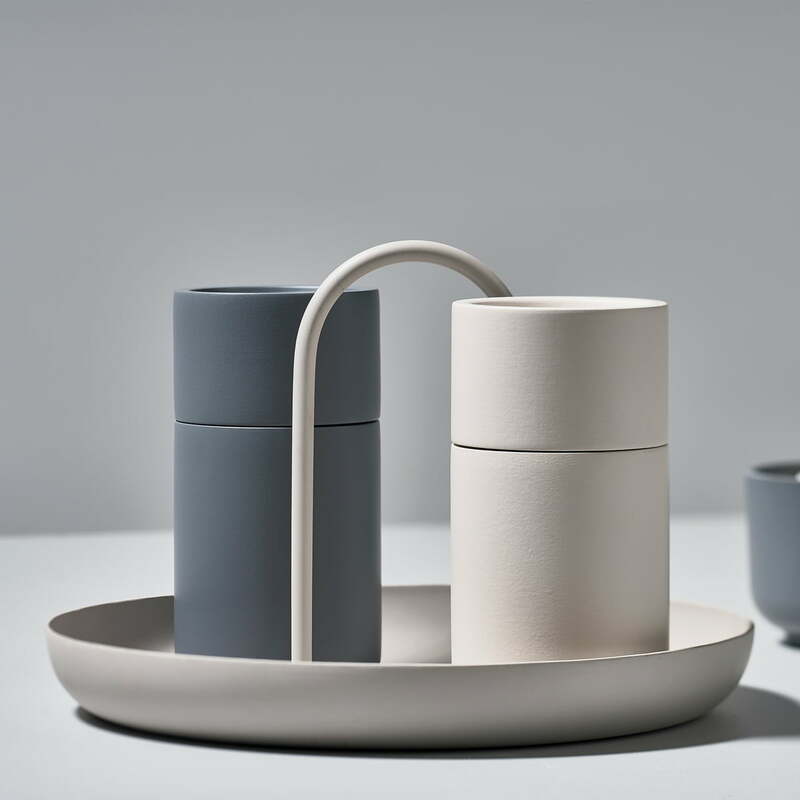 Singles thermos jug in black and the thermo cups of Zone Denmark in the ambience view. 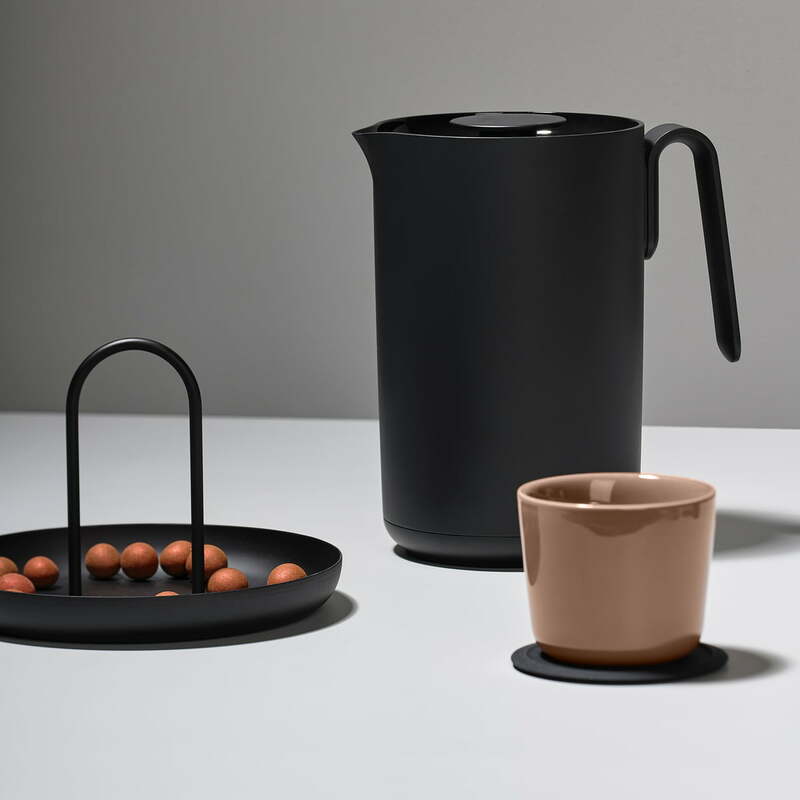 Tray, thermo mug and thermos jug are ideal for coffee in the afternoon. Singles tray in warm grey from Zone Denmark in the ambience view. 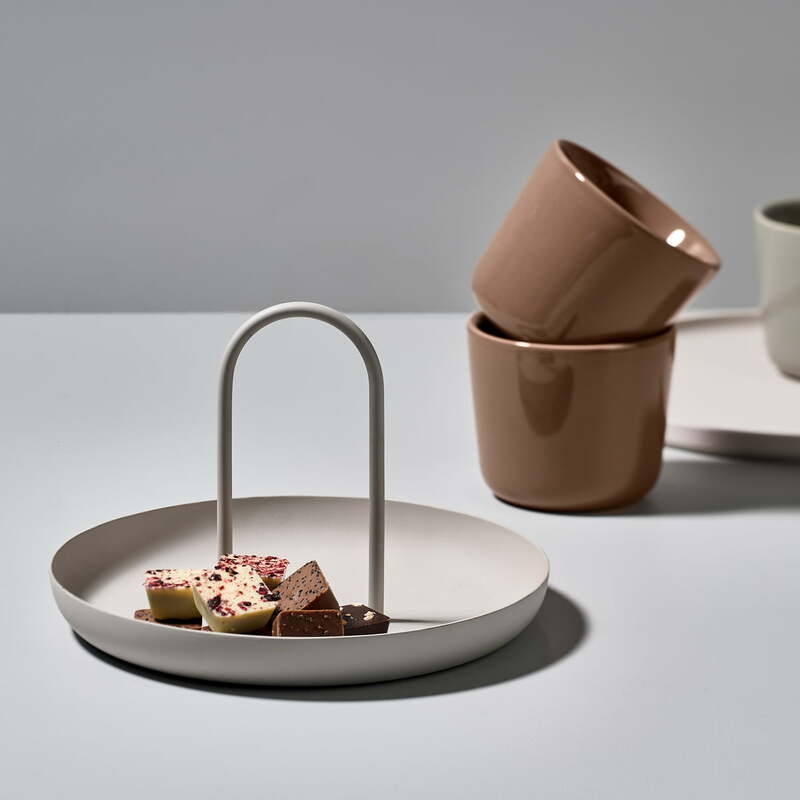 The Singles Tray by VE2 for Zone Denmark is a great decorative element and practical helper at the same time. Thanks to its handle, snacks, drinks and other small items can be easily transported with one hand.